Metropolitan Building Services, Inc. (MBS) has been providing Class “A” cleaning services to commercial office buildings and large facilities since 1986. The company was incorporated on April 1, 1986 by Teresa Febres, who is the sole stockholder and serves as the President and CEO. Metropolitan Building Services, Inc. is certified as a 100 percent minority, woman-owned company with over 30 years of successful history. Our current client portfolio includes some of the most impressive facilities and commercial properties in Washington, DC. MBS was ISSA certified as CIMS GB Expert in 2012 and 2014. At the time of the CIMS certification MBS was among a select group of companies to earn the major industry certification. MBS regularly provides LEED and Green Seal consultative support to clients and participates fully in maintaining the reports for LEED and Green Seal ongoing credit requirements. MBS as a result of these certifications is systemically committed to Green Cleaning. Each supervisor's job description includes the responsibility to perform cleaning inspections during the work shift. The Area Manager performs unannounced formal inspections at least twice a month. The Director of Operations will perform, at least four times per year, an unannounced building inspection. Inspections create a healthy climate of competition among our area managers. Peer review inspections also serve to cross train our area managers for possible fill-in or replacement in the event of promotion, sickness, or unplanned leave of absence. 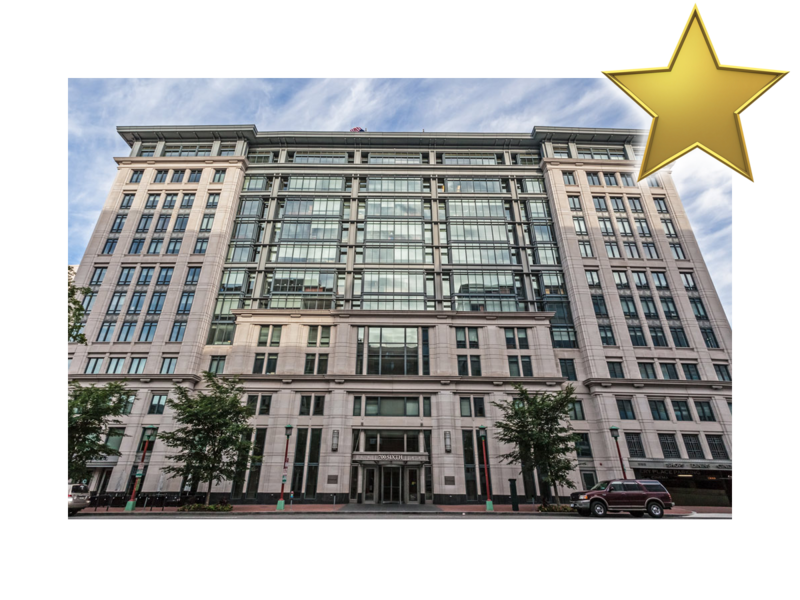 Metropolitan Building Services, Inc. is proud of its long partnership with Akridge and privileged to provide its services to 700 6th Street, NW. If you are having trouble logging in, or need an account established, please contact your MBS account manager. MBS understands that restroom cleaning is one of the toughest and most important jobs in the industry. Health-focused restroom maintenance is one of our core operating values. Pre-clean surfaces. Remove debris and bodily soils, such as urine, feces, and vomit with a blood borne pathogen kit to attack pathogens such as methicillin-resistant Staphylococcus aureus (MRSA), influenza, and norovirus, to disinfect surfaces. Nationally approved products. We pay particular attention to disinfecting toilet surfaces and other surfaces frequently touched by hands by using products designed for those surfaces using the manufacturer’s instructions to ensure proper use and contact time. Don’t use deodorants to cover smells. Eliminate restroom odors by breaking them down at their source. Not all products can actually break down and eliminate the root cause of urine odor—uric acid crystals. MBS deploys products that include stable active ingredients, such as ready-to-use hydrogen peroxide-based solutions, which fight urine odors and stains and require no additional training for cleaning staff to use. Clean the floors. Floor care is important and important in our restroom plan. Our teams are trained to remove grime and scuff marks on restroom floors, and also disinfect them. Clean mirrors and glass. Our restroom specialist focus on mirror and glass to keep them shining by removing water marks, soils, and streaks with a general glass and surface cleaner. We scrub away soap scum on sinks, counter-tops, and other surfaces with products specifically formulated to break it down. Encourage hand hygiene. Our training classes encourage our employees in being proactive with hand-washing as an important part of preventing the spread of infections. Cleaning staff should wash their hands regularly with soap and warm water, especially after emptying waste baskets, touching used tissues, or using the bathroom. MBS recognizes the potential for germ transmission in public restrooms, aka, “A bio-hazard waster transfer station”. However, by implementing a thorough cleaning and disinfecting protocols that focus on tell-tale signs of contamination, such as unpleasant odors and visible stains or soils, and addressing key surfaces where germs are most common, as a cleaning professional, we believe that MBS can help provide a healthy environment for building occupants and visitors.